Seasoning for Fish "Magiya Vostoka" buy for 0.7900 in store RussianTable with delivery. Used for all kinds of fish dishes and fish soups. Net weight 15g. Ingredients: ground black pepper, fragrant pepper, ground nutmeg, dried parsley, dried fennel, dried onions, salt, taste and scent intensifier (sodium glutamate). 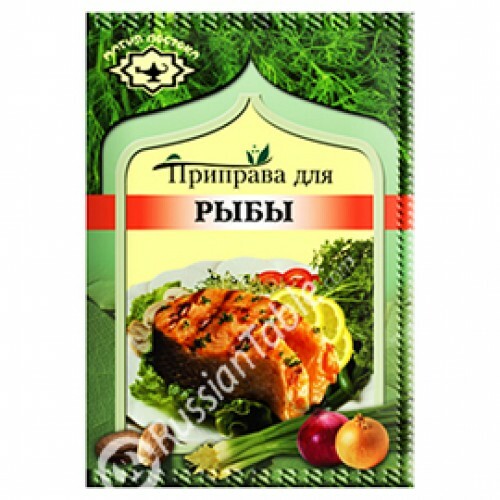 Do you have any questions about Seasoning for Fish "Magiya Vostoka"?